When you’re trying to furnish a busy office in Atlanta, Alpharetta, Marietta, or elsewhere in the area, desk chair choices may get lost in the shuffle because there are so many different chairs to choose from. Your choice of desk chair, however, is probably one of the most important decisions you will make because, out of all the items in your office, chairs will see the most use. Choosing an inferior quality chair could lead to discomfort, high replacement costs, or even medical issues for you, your employees, and your guests. On top of our quality desk chair options, NorthPoint Office Furniture also offers a massive selection of other office furnishings. From reception desk options, computer desk choices, and conference tables to executive desks and filing cabinets, if you need it to complete your office environment, chances are we have every item on your shopping list at NorthPoint. Our desk chair options work equally well outside the office. 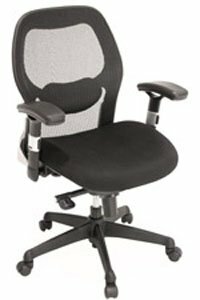 If you want to use your home computer while experiencing the ultimate in comfort and style, why not purchase a chair for your desk at home? Contact us or stop by our 8,000-square-foot showroom in Roswell, GA to learn more about our desk chair selection. While you’re there, be sure to talk to one of our courteous sales representatives and take a tour around our fully realized display offices to get a better grasp on what your office could be, with the help of NorthPoint Office Furniture.